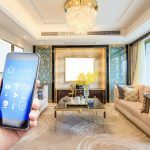 One of the easiest smart home projects to start out with is automating your lighting with wireless control. Programmed to turn on and off based on the time of day or certain conditions, automated lights can make life simpler, not to mention beef up the energy efficiency and security of your home. 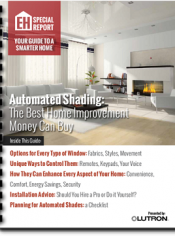 Add the ability to easily adjust the positions of motorized shading, and the benefits are even greater. Find out what your lights can do with a lighting control system. Is DIY lighting control something you’re ready to tackle? Thanks to a new product introduced by Lutron Electronics, homeowners don’t need an electrician or a custom electronics professional to automate the lights and shades in their home, unless, of course, they’d rather have a pro handle the installation. 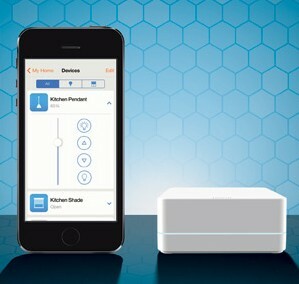 The new $150 Lutron Smart Bridge and companion smart phone app connects to a home’s existing Wi-Fi router, and according to Lutron can be set up in less than 30 minutes. 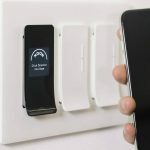 The $150 device and free mobile app turns your smartphone into a control device, from which you can operate a wide variety of Lutron products and systems, including Caseta Wireless dimmers, Pico remote controls, Serena motorized shades, as well as other third-party products (expected to be compatible with Honeywell Wi-Fi thermostats this summer). The Smart Bridge allows control of lights and shades from inside the home or outside. The new Smart Bridge is basically a DIY version of the recently introduced Smart Bridge Pro. The app and bridge support on the spot control, as well as the ability for consumers and pros to program the lights, shades and other products to adjust automatically based on predetermined parameters. For example, the Smart Bridge’s internal timeclock enables adjustments based on the time of day; scenes can also be created to prepare house for bedtime, entertaining and other occasions. This Lutron wireless dimmer works with the new Smart Bridge. While Lutron says the Smart Bridge (available Sept. 1 on Serenashades.com) and free downloadable app (available from the App Store and Google Play on June 30), is easy enough to be installed and programmed by homeowners, a Smart Bridge Pro version will also be available through electricians, security and home systems installers and lighting showrooms on June 30.